"Research shows that singing lullabies quiets fussy infants, lowers their heart rates, and improves oxygen saturation. 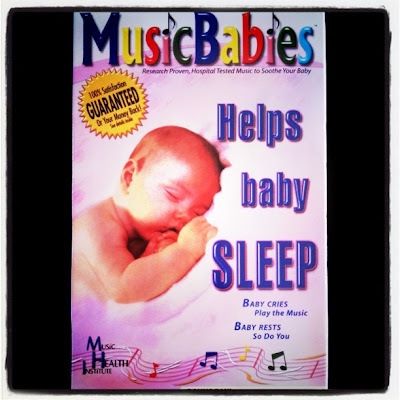 MusicBabies contains the same melodies clinically shown to lull babies to sleep." And in listening to these tunes myself, in preparation for this giveaway, I can tell you that it does the same for fussy adults! Besides that, I also love that, in addition to the vocal tracks, this CD comes with instrumental only tracks so that mommy, daddy or even a grandparent, can be the one singing the baby to sleep. To enter simply leave a comment below. I agree.. I have a friend that brings her BABY CD over when I watch him. I LOVED IT myself! I then ask...DON't forget the CD! By the way...loved your skydiving adventure!!! BRAVE!!! Oh my...I cannot pick a Favorite!!! I love them all...the voices are beautiful and the instrumentals perfect for listening or singing. I must say..I sang the Mockingbird song to one of my girls as a baby...and I make up my own words to the imfamous lullaby to my grandchildren who STILL request it at bedtime at age 10! With more grands on the way..I'd love to own this. Nana to almost 15 come January!!! how great! my new grandbaby is due to arrive on 11/10 and i found out today that my son's wife is expecting (again) and due in april. so, this would be a great gift for either of them. They're all beautiful. I think my favorites would be mockingbird and all the world is sleeping. i've sung the mockingbird song to all of my children, children that i babysat for, and for my grandchildren. I soooo believe this..also helps to calm mom down.